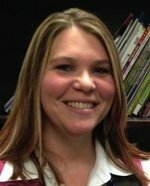 Cassie Sanders, CTC is your school's IT Help Desk for all things classroom technology related. The CTC assists teachers with the integration and use of technology in their classroom. Addressing both the technical and curriculum integration of these tools is necessary in the implementation of the district's technology goals. From troubleshooting faulty equipment and handling warranty replacements, to training teachers how to put technology to use in their daily instruction, the CTC can accommodate teacher needs. Teachers can contact the CTC for tips, personalized training focused on what is in their classroom, or for questions concerning technology in the classroom.